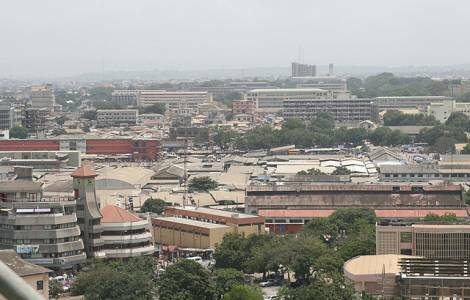 AFRICA/GHANA - Electoral violence in Accra; the condemnation of the Bishops: "Illegality and violence are a threat to democracy"
Accra (Agenzia Fides) - "We condemn in no uncertain terms the reported shootings and assaults perpetrated by some unidentified groups resulting in injuries", say the Catholic Bishops of Ghana in a joint statement sent to Agenzia Fides, condemning the actions of unidentified assailants who injured eighteen people in a shooting near the capital city of Accra. "Of particular concern is the reported use of vigilante groups to disturb the peace and quiet of the by-election", said the statement. The Bishops warn that "such manifestations of lawlessness and insecurity" are a threat to the Country’s democracy, especially as the country prepares for a general election in 2020. The Bishops encouraged the police to conduct a thorough investigation of the incident and the country’s Election Commission to "liaise with the political parties to address all the challenges and fears of stakeholders in the conduct of peaceful elections".